I haven't had a chance to post anything lately, but I saw this a few nights ago & got a laugh out of it. "A Rare Correction - Stephen Eats an Ewok"
Star Wars is my all-time favorite movie series, but the primitive teddy bears called 'Ewoks' were one of George Lucas's very transparent toy-marketing ploys. 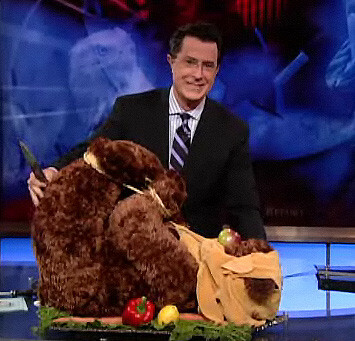 Therefore, I found it very amusing when Stephen Colbert decided to 'eat an Ewok'. Having eaten bear meat before, I can imagine one of the furry inhabitants of Endor's Green Moon might taste similar. My Dad buys several newpapers each week, The Philadelphia Inquirer & local ones like the Gloucester County Times. He rarely stops in the middle of reading the paper to talk about it. My father (Big Paul) is a child of the 60's & has always been a classic rock guy. He has been in several bands & even recently got back together to rock out with some of his old bandmates. The ridiculous editorial I scanned below gave him a good laugh. I had to read it twice & thought it might even be a joke. I ended up taking the page with me, because the letter was so fascinatingly pathetic. I was actually considering writing a simple 3-word reply to 'L. Kramer', the author of this unintentionally(?) amusing anti-rock screed, saying...."YOU'RE A SQUARE." "It's a war of good vs. bad music. "The side in which monotonous, overpowering beats are hypnotizing me as my body thrashes around, of course!" I'm dreaming of a dream." I just came across a ridiculous clip on Ebaum's world that made me think - "?!?!?!?!?!?". It is from a bizarre film from 1989 called "Creating Rem Lazar" that is both hilarious & torturous to watch at the same time. This is the type of thing that sends my mind reeling. First of all, why? WHY?!?! Why would anyone feel compelled to make this????? Even my most creative instincts cannot grasp the motivation. BTW, how is this character walking through a city dressed like that, walking & holding hands w/ kids- yet nobody finds it odd? It is a rare gem that can make me furiously annoyed, while laughing out loud at the same time! Watching all 6 segments on Youtube is a supreme exercise in mental fortitude. I don't know why I find this madness so amusing. All I know is I need a Quixotic Medallion, pronto! I love to browse through Ffffound!.com and can click away through the wide variety of pictures posted there. 1) Sassy she-devil Governor Sarah Palin's Cheshire Cat-like visage vibrating in mid-air. 2) The ancient Temple of Kukulkan, of the Mexican Mayans, with what appears to be Dark Side lightning emanating from within. 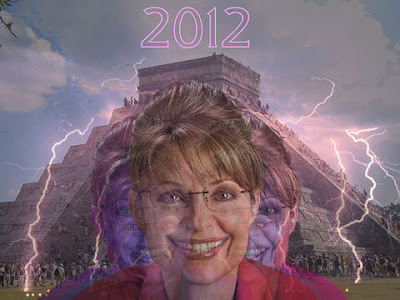 3) Appearing over the Mayan pyramid - the menacing date of "2012", the supposed end of a Meso-american time cycle. Depending on who you listen to, this either means the total end of human existence as we understand it... or not. I saw this and thought it was absolutely awesome. The Ffffound! post links to one of the blogs on Tumblr that is nothing but cool wacked-out pictures. Whore of Babylon & Rise of the Fourth Reich"
It still amazes me that someone actually created that article... it makes me feel like this blog is at least 'semi-rational'. However, if by some horrible, horrible twist of reality, Sarah Palin becomes President in 2012 - I will proclaim the author to be the modern Nostradamus. A few posts back as I wrote about "seeing God", I remembered a story about Michelangelo's painting of the Old Testament Deity... where he's shown as an old man being floated around by kids inside his cape. 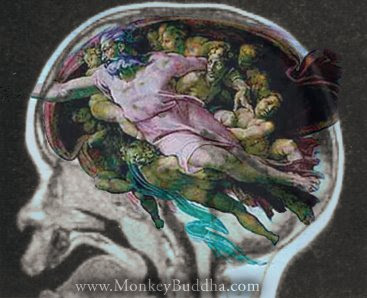 A physician has claimed that the Renaissance master painted the figure of YHWH in the "Creation of Man" in the shape of a brain cross-section! Is this just another case of the mind's eye recognizing similar images? Just the speculation of meaning behind it (if it was intentional) can fuel plenty of theological and philosophical discussion. It may seem crazy, but think it's inevitable that humans and computers will meld together, to the point of what could be called an "augmented reality" (& beyond). To some extent, this is already in progress- since we already constantly use electronic devices to improve the way we communicate, remember, navigate, and learn. This continual expansion of human consciousness inspired me to project into a possible realm where symbiotic computers like an "iThink" become integral to our reality. This would be no different then how society has adapted to the universality of instantaneous communication. Having a symbiotic, consciousness-effecting networked computer implant might soon be considered no different than having a cell phone on you at all times. One of the countless applications of such a computer directly tied into the nervous system might be the ability to virtually immerse oneself into enhanced environments. Data could be displayed and transmitted as fast as the user's thoughts. I've always thought it would be great to visit an ancient landmark and experience virtual buildings and surroundings to overlay your immediate view. threatens to make learning cool"
*Disclaimer: The entire contents of this post are parody. This is a non-commercial, fair use and not meant to resemble any existing entities... obviously. In my Tribute to Infomercials, I linked to a preview for a set of videos my brother & I made several years ago. We made it for one of his film projects when he was in school & had a blast with it. I convinced Justin to edit & upload these segments, despite their laughably low-budget appearance. We actually filmed over an hour of improvised bits, but he had to cut it down to fifteen minutes of material for his assignment. Alot of other craziness got cut out, though we're trying to salvage some other parts. If these clips get alot of viewers, we'll probably make more segments. 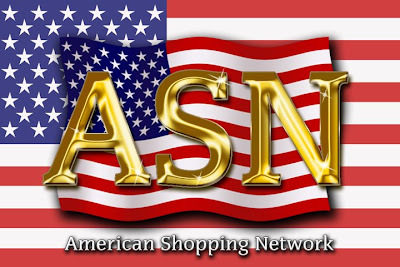 Basically, it is a parody of QVC & other merchandising shows - starring two loveable hucksters selling absolute crap. • I play "Jimmie Ray" aka. "JR", and Justin is "Montgomery 'Monty' J. Scheisterman". • Our brother Joe helped out, playing "Bud the Camerman" & Nate plays the director "Burnt Shooskii". I was just playing this funny little game on iambored.com. Even though the game is limited, it's a great premise. 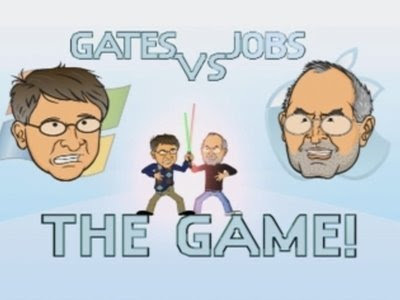 As an Apple devotee, it is oddly satisfying to beat down Bill Gates with a lightsaber. The Windows & Mac themes in the health bars & special moves are a nice touch. I've been wanting to dedicate a post to my thoughts on infomercials. The spectacle of infomercials has always given me a certain amount of amusement & fascination. I am always in utter disbelief that people actually watch them and order the crap they're selling. "ShamWow Guy SlapChops a Prostitute"
Just looking at this guy pisses me off. Who in their right mind would trust this creep enough to buy something from him?????? I never thought that any TV pitchman would ever be as astoundingly annoying as BILLY MAYS!! 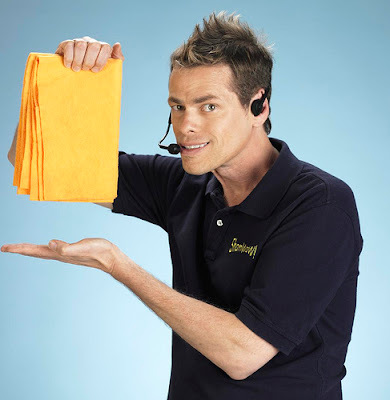 !, but Shamwow Scumbag Vince Offer/Shlomi is definitely in the running. Speaking of Billy Mays, The Bearded One's obnoxious delivery (honed right here in New Jersey, of course) has predictably got him a reality TV show documenting the making of one his mind-numbing infomercials. As scary-looking as he is cunning, Ron Popeil was one of my early icons in the sublime art of 'B.S.' known as Marketing. Me and a couple friends back in high school used to watch his spots on TV late-night & obsess about the crazy details of his carefully-crafted pitches. In fact, Ron Popeil is a big inspiration for a ridiculous 'infomercial' video project I helped my brother with when he was in college. We got completely carried away with the idea and he's about to upload several of the segments onto Youtube like this preview. This is just another reason why Stephen Colbert is awesome. NASA has run a contest online to name the International Space Station's "Node 3 module". Colbert urged his viewers to enter his name as an entry. I actually went to the website to vote & Colbert's name ended up getting the most votes! If NASA doesn't use Colbert's name, they'll just look lame beyond belief.